As a Commercial Broker, Patti's primary focus varies between Commercial, Farm & Ranch and Residential Real Estate Investments. Originally from San Diego, Calif., Patti has worked in the Austin, Texas Real Estate & Construction Industry for a combined of over 30 years. She has worked in capacities from Sales, Marketing, Business Development, Principal of a GC, and now an Independent Broker in the Real Estate Industry. 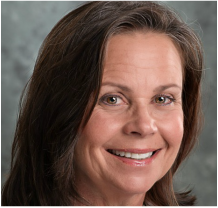 Patti has earned the designation of CCIM (Certified Commercial Investment Member). A CCIM is a resource to the commercial real estate owner, investor, and user, and is among a corps of over 9,500 professionals around the globe who hold the CCIM designation. The designation helps CCIMs and their clients: Minimize risk, Boost credibility, Make informed decisions, & Close more deals. Patti brings to the table her knowledge and dedication to the development of Austin, and Central Texas, including her prolific alliances that she has developed over the years. She is dedicated to educating and lending her client's a helping hand in the process of "Investing in Real Estate for their Future!" She carefully listens to their needs, wants and goals and utilizes pragmatic down to earth methodologies to help them through the entire process! Beginning 2019 Patti is pursuing her ALC (Accredited Land Consultant) designation. Having the ALC Designation gives brokers the knowledge they need to close deals and speak confidently with their clients about Land. It also gives clients confidence in their broker as the most qualified expert to help them buy/sell their land. ALCs aren’t just land sales professionals, they are the most prestigious, experienced, and highest performing land sales experts in the country! 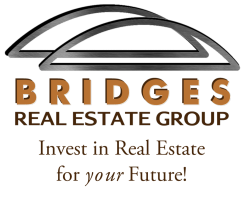 ​Specialties: Brokerage: Commercial Investments, Construction/Contracting Consulting, Market Analysis, Principal/Landlord.